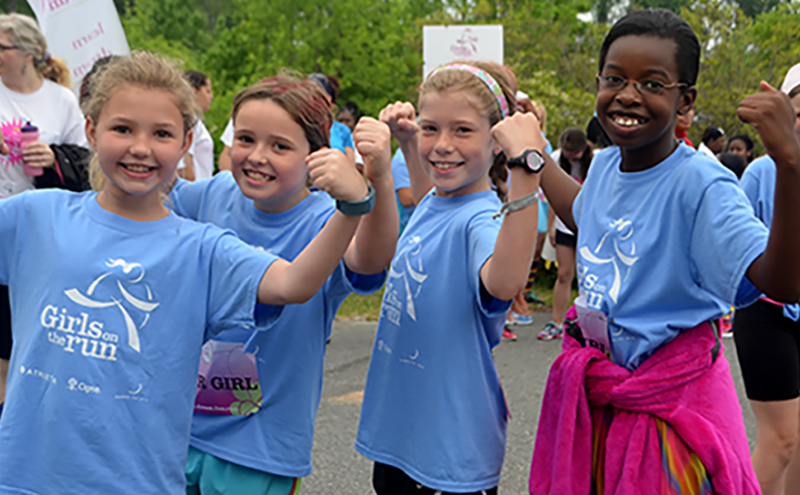 Girls on the Run is a youth empowerment program for girls in grades 3-8. Over the course of 10-weeks, girls engage in lessons to build confidence, courage, and connection. They also learn to set and achieve goals by training for and completing a 5k. About 43% of the girls we serve would not be able to participate without your help. Girls like Kayla, who says, "Girls on the Run teaches me how to live my best life!" Your gift makes Kayla's best life possible! Thank you! That's right!! Girls don't have to choose!! Way to finish that 10K strong, Maureen!!! Heart of MO GOTR WAS PROUD TO SPONSOR THE FINISH LINE AT JAY DIX RACE TODAY! Heart of Missouri Girls on the Run is in Columbia, Missouri. Stephanie Thomeczek knows what to do (and what not to do) to motivate young girls to run.